A man suffered serious facial injuries after being attacked with a knife in Peterborough at the weekend. 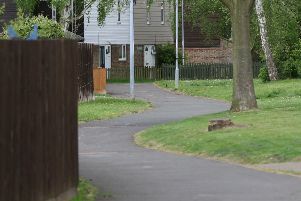 Police were called to reports of a stabbing in Lincoln Road, Peterborough, on Saturday August 18 at 11.45pm. The victim, a man in his 40s, was taken to Peterborough City Hospital with serious facial injuries having been slashed with a knife. Eyewitnesses reported that the attack took place at Madina Grill and there were around 100 people in the area at the time. A 31-year-old man was arrested on suspicion of assault occasioning GBH but has since been released on bail. NOTE: Cambridgeshire Police this morning informed the Peterborough Telegraph that a man had been charged following this incident. This information from Cambridgeshire Police was incorrect. A Cambridgeshire Police spokesman has since confirmed this was an error on the part of the police.